Below are IPMS and non-IPMS contests and events. If you know of a modeling event not listed here, please send information to the webmaster. For information on the contests in other states please visit the IPMS USA upcoming events page. IPMS Silver Wings host will hold SILVERCON 2019. The contest will be held at the Town & Country Lutheran Church and School, 4049 Marconi Ave, Sacrament CA. The theme is “The 60s”. For more information see the IPMS USA website. Pasadena Modeler Society will host ValleyCon 2019 at Pasadena Convention Center in Pasadena, CA. For information see their website. USS Hornet Air & Space Museum will host Splashdown 50 Anniversary Model Showcase for space themed models at the USS Hornet in Alameda, CA. For information see their website. 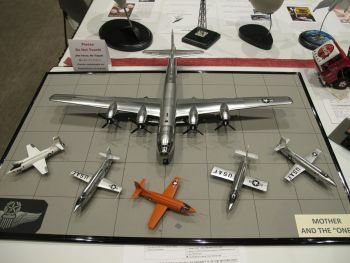 IPMS Silicon Valley Scale Modelers will host SVSM 2019 Classic at Napredak Hall in San Jose. See our website for all of the info on the event. IPMS Las Vegas will host Best of the West – 2019 Regional Convention at East Side Cannery Resort Casino in Las Vegas, NV. For information see their website. IPMS/Red Flag Scale Modelers will host REDCON 2019 at Orleans Hotel and Casino in Las Vegas, NV. For information see their website.